Zenburn – just some alien fruit salad to keep you in the zone. 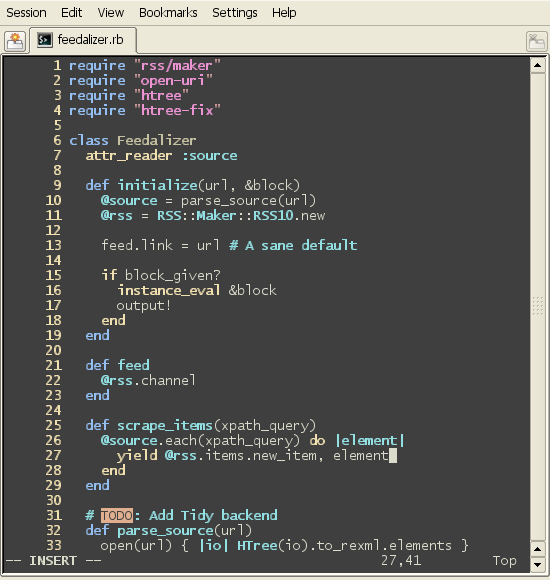 Originally made for vim by Jani Nurminen and later ported to Emacs and XTerm by Daniel Brockman, here it finally is for KDE’s terminal emulator Konsole. Save Zenburn.schema in ~/.kde/share/apps/konsole and select the schema in Konsole’s settings. This page was created on 2006-02-19 and is filed under KDE.